How cute is this little dude? 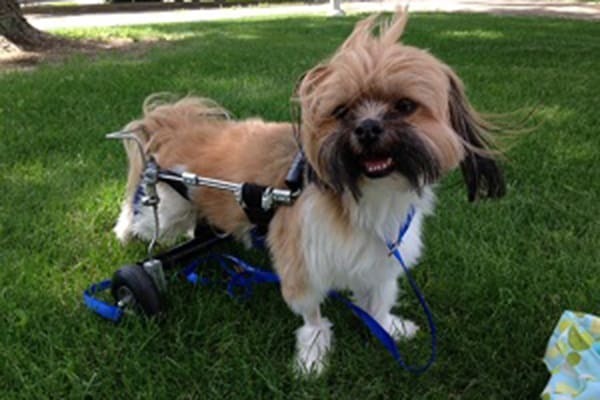 His name is Ziggy and at somepoint he may have had a stroke which left him paralyzed in his hind legs. So he can’t walk but that does not stop him one bit with his fancy little cart! 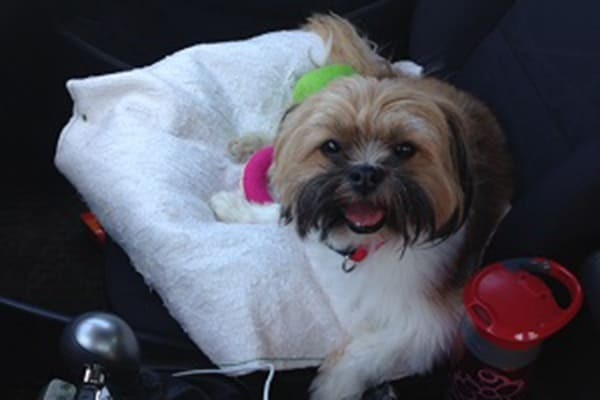 Ziggy is a 4 year old Shih Tzu/ Pom mix with a lot a heart and a lot of love!! He’ll need to have his bladder expressed because he can’t feel that either but he’s so worth it! Please consider giving to help cover Ziggy’s costs. Update: Ziggy has been adopted!